When asked to describe Cologne, plenty of people would start off by praising its Rheinland charm. The endearing Cologne dialect and the warmness and hospitality of the city’s people come together to define this major metropolis of the Ruhr region. Discover the highlights of the city during your city trip to Cologne. Massive Cologne Cathedral is visible even far away from the city, stretching to the heavens right beside the main train station. At 157 meters in height, this gothic cathedral is the second tallest religious building in Europe, and the third tallest in the world. The diversity of the city stretches out before visitors to the viewing platform in the south tower. In the well-preserved downtown, modern office towers, and terraced shores of the Rhein river combine to create a variable and yet harmonious whole. Ruins of Roman structures are found throughout the city, and parts of the Roman city wall are still visible. Medieval buildings in and around the city center, such as the city gates, combine with architecture of every style from Classicism to Art Nouveau and Expressionism to create a colorful tableau. Due to devastating bombings during the Second World War, however, the majority of the city is shaped by post-war architecture and striking high-rise buildings. The most legendary tourist attraction among the city’s events is certainly Cologne Carnival. However, as an important cultural center, Cologne also has a lively arts scene providing top-class attractions, including countless galleries, more than 30 museums, and ever-changing exhibitions. One of the most important art museums is the Ludwig Museum on the Cathedral square, and the Wallraf-Richartz Museum. The Schnütgen Museum, housed in a Romanesque church, displays a comprehensive collection of Christian art from the Middle Ages. In the Museum of Applied Arts, you can marvel at thousands of design objects, from a Mies-van-der-Rohe chair to a retro vacuum cleaner. The Roman-Germanic Museum is an especially popular example of Cologne’s historic museums, exhibiting art, jewelry, and everyday objects from the Roman and Merovingian epochs. South of the city center, on a peninsula in Rheinau Harbor, the Imhoff Chocolate Museum invites guests to take a tour through the history of chocolate and of modern chocolate production. The German Sports & Olympics Museum located there is also worth a visit. You can learn about Kölnisch Wasser, one of the city’s most famous export items, in Dufthaus 4711 in Cologne’s Glockengasse. The Cologne Zoo, one of the oldest zoos in Germany, makes a great and relaxing family destination with over 500 species from every continent. 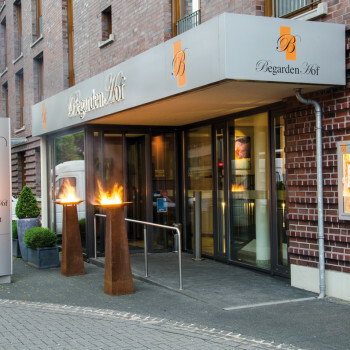 Short getaway in Cologne: Overnight stay at PrivateCityHotels. PrivateCityHotels. 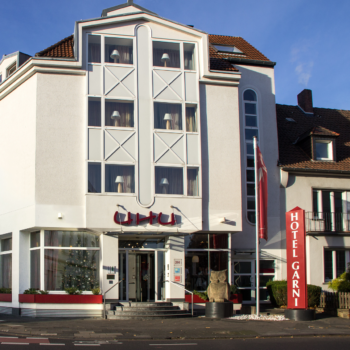 offer charming and personal hospitality for your journey of discovery through this metropolis on the Rhein. Book your vacation in Cologne in one of our PrivateCityHotels. of your choice, or select one of our hotels in Austria, Germany, or Switzerland.